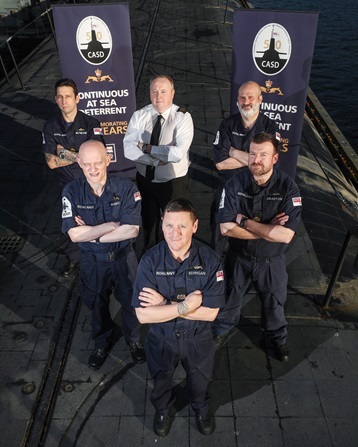 In a press release the Royal Navy has promised to celebrate fifty years of nuclear weapons with “high-profile public events, including services of thanksgiving in London and Edinburgh, a parade through the home of the deterrent force on the Clyde and a new commemorative award for crew are all lined up.” Brian Quail reflects on the celebrations. 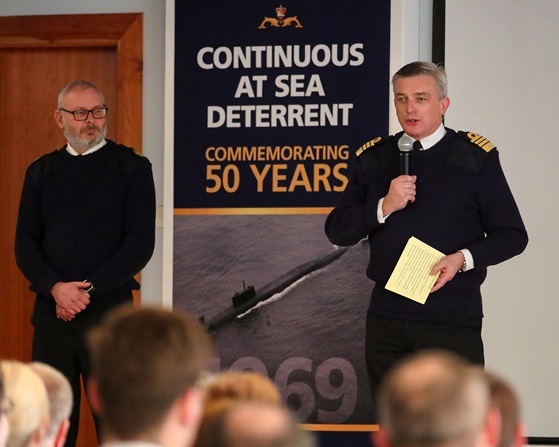 On May 3rd at Westminster Abbey there will be a service to commemorate 50 years of CASD – Continuous At-Sea Deterrence. The Great and the Good will Thank God that for half a century in his loving kindness he has granted us the ability to slaughter millions of his children, our brothers and sisters, at a moments notice. He has given us the power to enact instant global extinction – to undo his work of Genesis. And will continue to grant us this indulgence in perpetuity, while we rabbit on about “multilateralism’. This is in disregard of the fact that we have always modernized or upgraded our weapons, reducing the numbers, yes, but increasing lethality and usability. “New lamps for old” is our tactic, not de-escalation leading to elimination. The phony distinction between “multilateralist” and “unilateralist” beloved of nuclear apologists, is pure fantasy, No British bomb has ever been placed on the table at any disarmament conference – ever. As Bruce Kent once said “a unilateralist is a multilateralist who means what he says”. But now the reality is that things have utterly changed. In a landmark statement on Nov. 10, 2018 Pope Francis categorically condemned not only the use but also the very possession of nuclear weapon. Up till now, we have deluded ourselves with the blatantly spurious moral distinction between actual use and mere possession. The Pope’s statement is clearly a rejection of our current compromise. It also completely destroys the moral basis for the UK government’s nuclear policies, and that of the official opposition. The Pope’s words are an honest recognition that our current position is morally untenable; it is so, because possession does not mean keeping them inert in a vault or hidden somewhere underground. To possess them means to have them ready for use, that is, to deploy them. This conditional willingness to use is no less wicked for being thus conditional, and already devastates all moral limits. Some of us have been shouting this from the rooftops for many long years now, and it is a blessed relief to hear that at long last the Pope agrees with us. Taken a bit long, perhaps, but it is a complete vindication of the position the peace movement has always taken. So let’s Thank God for that, rather than the fact that we’ve gotten away with it for 50 years. He concluded that: “If we also take into account the risk of an accidental detonation as a result of error of any kind, the threat of their use, as well as their very possession, is to be firmly condemned”. So that “caws the feet” from under the supporters of deterrence. The pope thus implicitly criticized world leaders such as U.S. President Donald Trump, who has openly threatened nuclear war (“fire and fury”) on North Korea. The conference participants included the U.N. High Representative for Disarmament Affairs, NATO’s deputy secretary general, and 11 Nobel Peace Prize laureates. Meanwhile, the service on May 3rd at Westminster abbey will demonstrate the triumph of practical paganism. The priests assembled will fulfill their traditional role of convincing the people that their rulers act on behalf of the gods, and so must be obeyed. And this blasphemous pantomime will be done in the name of Jesus who said, “Love your enemies; do good to them that hate you; and pray for them that persecute and calumniate you”. His revolutionary non-violence will once again buried in a shroud of platitudes and religiosity. Orwellian god-speak replaces speaking the truth. Maybe they should incorporate these words into their celebration in Westminster Abbey? We think we are tremendously sophisticated because we have made such marvellous advances in the sciences, but the truth is our position is really primitive. We are right back where we started. “I call heaven and earth to witness this day, that I have set before you life and death, blessing and cursing. Choose therefore life, that both you and your children may live” (Deut. 30 19). And we have chosen death. We live in a post Christian world, not because secularism has won the argument, but because we have failed to be witness to the alternative. Our prophetic voice is hesitant, or silent. “It is customary to blame secularism for the eclipse of religion in modern society. But it would be more honest to blame religion for its own defeats. Religion declined not because it was refuted but because it became irrelevant, dull, oppressive and insipid. When faith becomes an heirloom rather than a living fountain, when religion speaks only in the name of authority rather than the voice of compassion – its message becomes meaningless”. “Go forth into the world in peace; be of good courage; hold fast that which is good; render no man evil for evil; strength the faint-hearted; support the weak; help the afflicted; honour all men; love and serve the Lord, rejoicing in the power of the Holy Spirit”. Beat that! Reality has replaced satire, and the laughter has died. Deterrence is – in the lovely Americanism of the US Pax Christi statement – “a sin situation”. We should be begging God’s forgiveness for this ongoing sin, not celebrating it on May 3rd in Westminster Abbey. The order of the day should be sackcloth and ashes, not Pomp and Circumstance. We can only Thank God that we have survived long enough to repent of our nuclear idolatry. As part of their ”celebration” perhaps they will invite some residents from Hiroshima and Nagasaki to offer their thanks , too ! 1. Theological. Nukes are posed as the ultimate safety deterrent to protect the world from its own follies, a role traditionally ascribed to the Divine; thus it is a form of blasphemy – treating the weapons as God. 2. Morally. The possession of nukes retains the threat of use. To say ‘we hope never to have to deploy them’ is not a morally sustainable position as it implies an idea of bluff, thus gambling with the possibility of the end of life as we know it. 3. Politically. The nuclear arms race represents a failure of diplomacy and the necessity of agreement by treaties at the international level. 4. Economically. The cost of nuclear weapons cannot be justified in the face of world poverty, inequalities, and simple human need. As far as I’m aware, the bible is quite supportive of God’s past and future uses of weapons of mass destruction. The Christian notion that there is another, more important world that our immortal souls inhabit after death treats our Earth as ultimately disposable. Some people in influential positions may be looking forward to Armageddon. So nukes may be part of God’s plan to the faithful. Or they may believe that God can intervene and turn missiles into bowls of petunias. I cannot understand why the Pope’s stated opinion (welcome as it may be) “destroys the moral basis for the UK government’s nuclear policies”. Is that support for the infallibility (and morality) of the Pope? There are, I would argue, more productive arguments, such as showing that deterrence theory has in fact failed and therefore has been disproved. 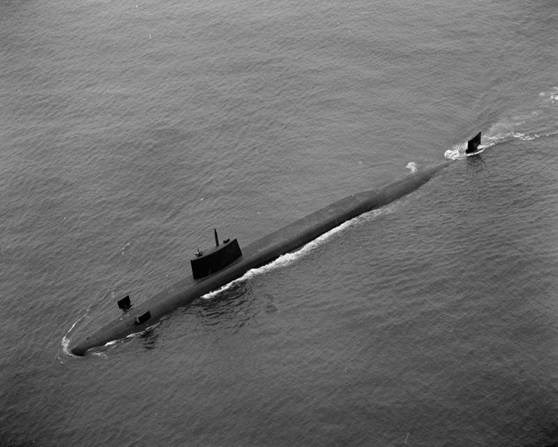 There is reliable evidence that only luck, human obstruction (and possibly many still-unknown factors) have prevented nuclear weapons launches during the Cold War (and quite possibly after), although we are hampered by state secrecy, of course. And the nuclear powers have designed and build tactical or first strike nuclear weapons systems which assume that nuclear attacks can somehow ‘safely’ avoid full-scale nuclear war and global destruction. We can surely do far more useful things than thank God for our continued survival. Well-written once more, Brian: Have you any information on the proposed Edinburgh event: ( so we can do something about it) . We discussed this dismal prospect at a meeting of churches and none had been given any hint or approached for participants? Brian, Thank you. There is a huge misleading element to this service. In 1994 – Major and Yeltsin agreed to de-target and so for 25 years there has been no D in CASD. 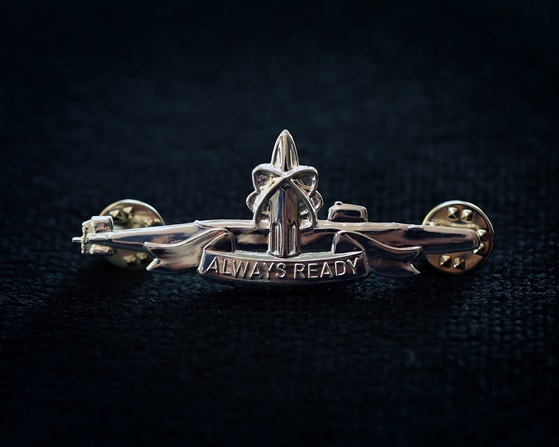 This is for the entire life of the Vanguards and no NATO operational since 1994. This would be worth celebrating. It is also unlikely that if the lessons of Chilcott are applied can Trident ever be re-targeted. This paper might be of interest, some private study that now needs developing – comments welcome.